Bartlett Property And Gardens - Landscaper , Painter/Decorator based in Cowfold, West Sussex. 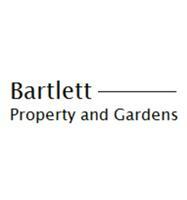 Bartlett Property and Gardens is a local business helping people with all their property and gardening needs. We are a small, friendly and reliable business based in the West Sussex area. My name is Liam Bartlett, I have been in the construction and horticultural world for over 15 years now. In this time I have built up a huge range of skills including landscape gardening, home improvements as well as painting and decorating. We can design and build your whole project from that door that keeps jamming right through to a complete garden make over.